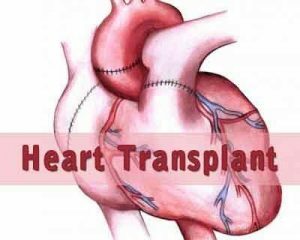 Aurangabad: A 32-year-old man killed in a road accident in Aurangabad gave a new lease of life to a Thane man through a heart transplant made possible by a ‘green corridor’ here to facilitate the organ’s transport in record time. Besides, other patients will get the deceased man’s kidneys and liver. The dead man’s heart was harvested and transported from United Ciigma Hospital in Aurangabad to Mumbai’s Fortis Hospital in Mulund — a distance of 300 km — in barely 80 minutes. A commercial flight took off with the harvested heart from Aurangabad for Mumbai and landed here at 7.25 a.m. A stand-by ambulance traversed a specially created green corridor to the Fortis Hospital here within 20 minutes. A team led by cardiologist Dr Anvay Mulay transplanted the heart into the 38-year-old Thane resident suffering from viral myocarditis and intractable arrhythmia. Mulay said the surgery was successful. Fortis Hospital Zonal Director S. Narayani said it was the 20th life-saving heart transplant undertaken at the hospital in the past 10 months.